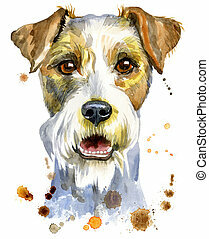 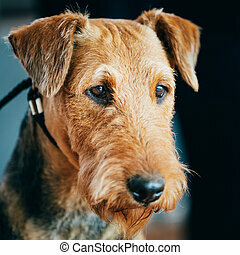 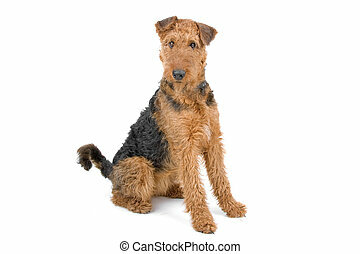 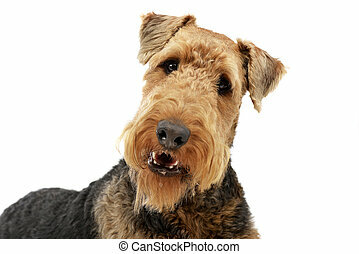 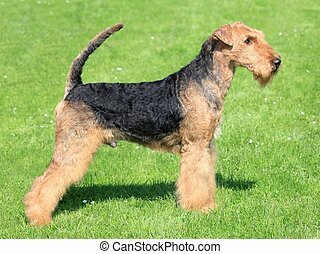 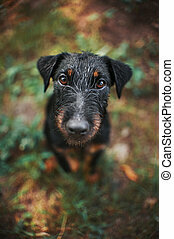 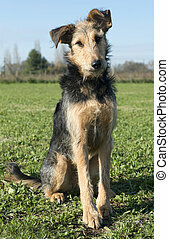 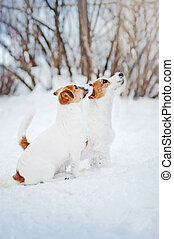 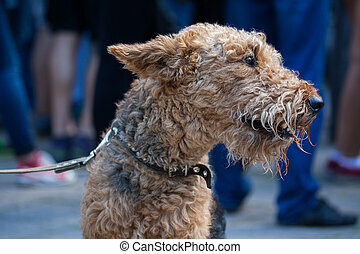 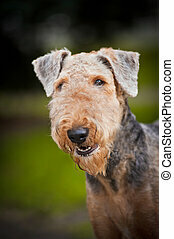 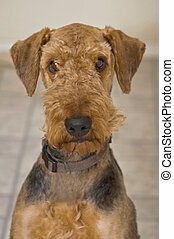 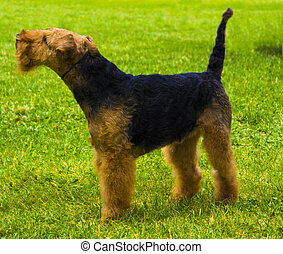 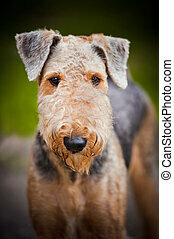 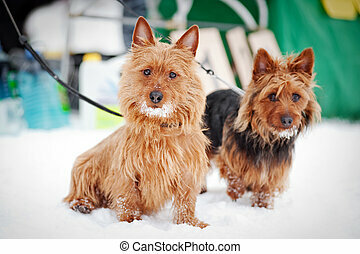 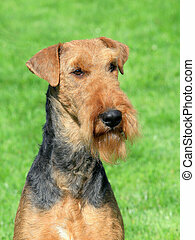 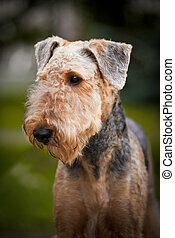 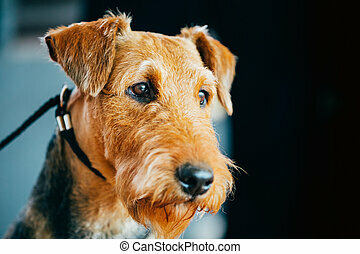 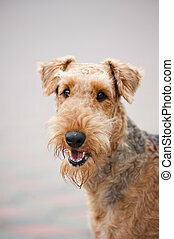 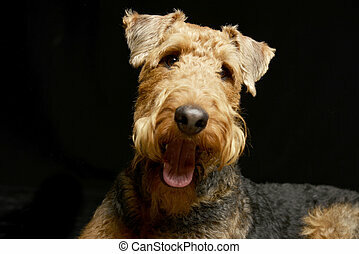 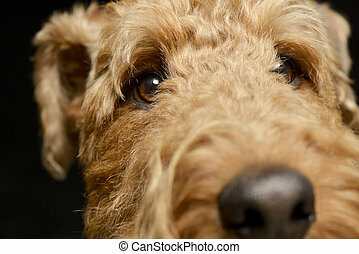 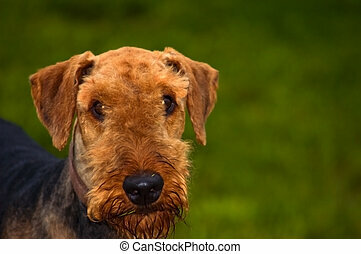 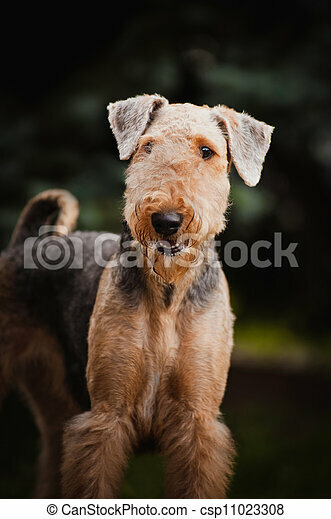 Cute airedale terrier portrait. 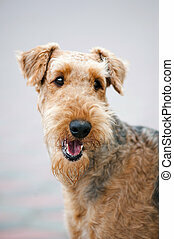 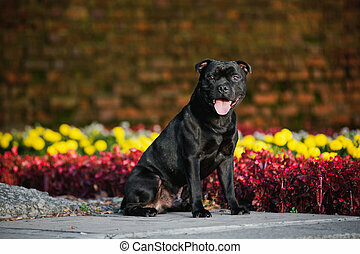 Cute happy airedale terrier portrait in summer. 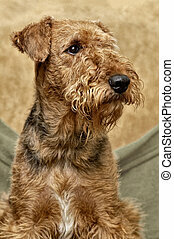 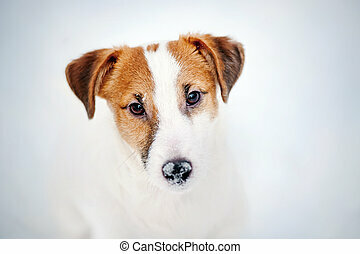 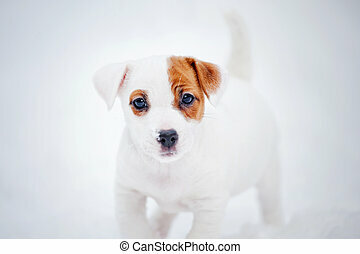 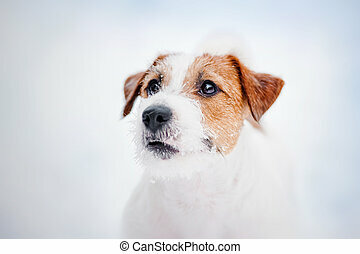 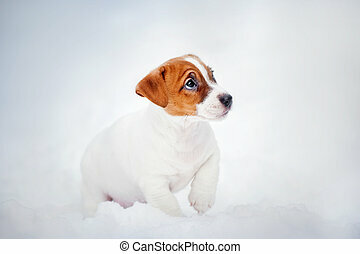 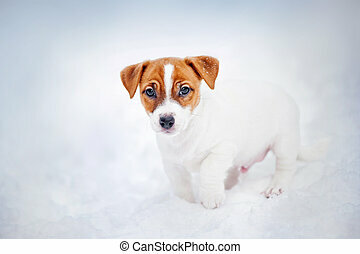 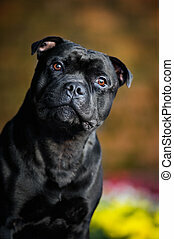 Portrait of an adorable Airedale terrier, studio shot, isolated on white.